I was a Batman character just about every year for Halloween in my childhood. I frequently watched episodes of the campy 1966 Adam West show, Batman: The Animated Series, and I also collected way too many of the toys. The first decision in my life that put me between a rock and a hard place was around age 5. While watching a "new" episode of Batman (1966) my best friend across the street invited me over to play. My parents recognized the internal conundrum I was struggling with and gave me the choice of either going to my friend's house or finishing the episode, as it was getting late. I chose to finish the episode (he understood). 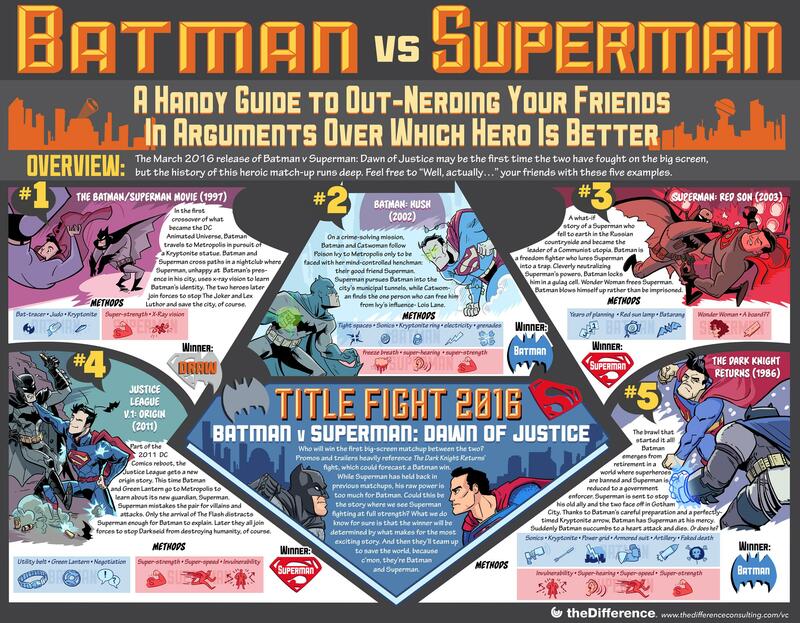 As you can see from the infographic at the top (which you can click to enlarge if you're still geeking out with me), this particular clash of titans will mark the tie breaker for the history of battles between these characters. But does anybody really win when our heroes fight one another? I'll tell you #WhoWillWin; the audience... and Batman. 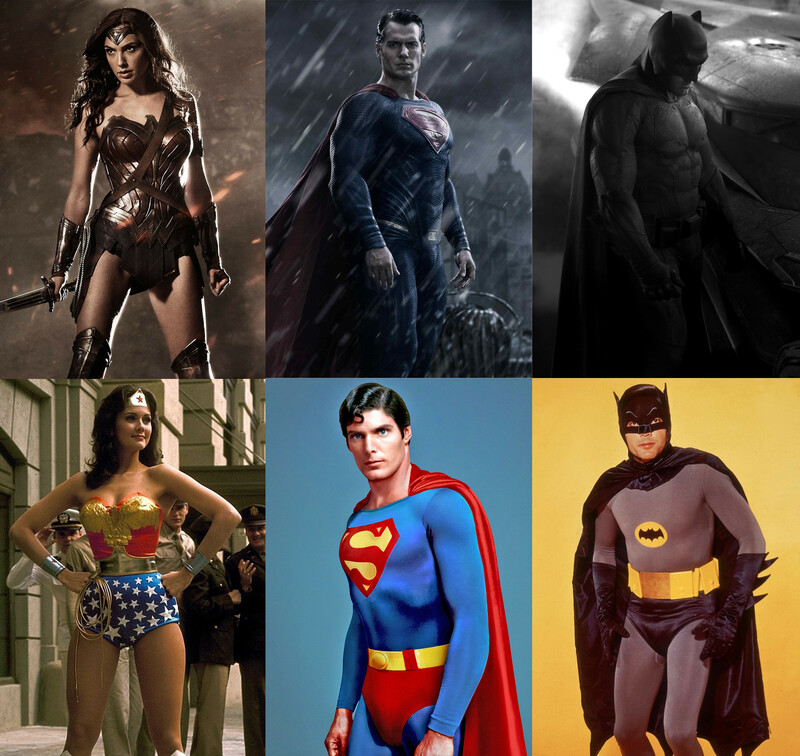 Batman will win. Please keep your thoughts and prayers with the people of Brussels this week for the senseless tragedy that has impacted their everyday lives.